Memphis is one of those cities that is synonymous with music. It is the largest city in the state of Tennessee and is famous for being the hometown of the legendary musician, Elvis Presley. It is a city that has a pretty rich and storied history, and not to mention some of the best barbecue in the south. Speaking of barbecue, you'd rather be spending your weekends grilling some burgers and ribs in your backyard instead of treating your lawn. Give Lawn Love a call because we'd be happy to provide you with our world class lawn aeration service while you just sit back and relax. Lawn aeration is one of the most important parts of proper lawn care, but it is not something that you would normally hear from homeowners. However, it is still important to remember to have your lawn aerated regularly because it helps promote healthier grass. It can also alleviate soil compaction which helps the grass roots grow. Lawn Love's Memphis-based independent technicians take lawn care seriously, and they will do what it takes to make your lawn look great. 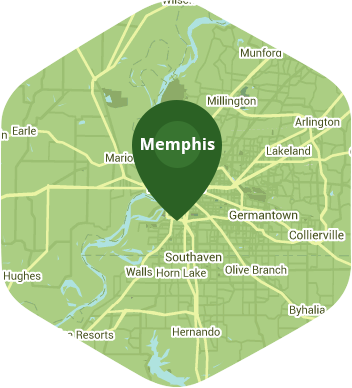 We are one of Memphis' best when it comes to lawn aeration, so give us a call at 901-410-4492 to see for yourself why so many Memphians trust us. You can also get a free quick online quote to review our rates. It looks like the expected precipitation in Memphis is 0.01 inches, which means you will probably have to water your lawn today. Dusk and dawn are the best times to water your lawn (the sun will rise at 6:18 AM and set at 7:38 PM today in Memphis). Here are some average aeration prices for homes in Memphis. Average lawn size 5,051 sq. ft.